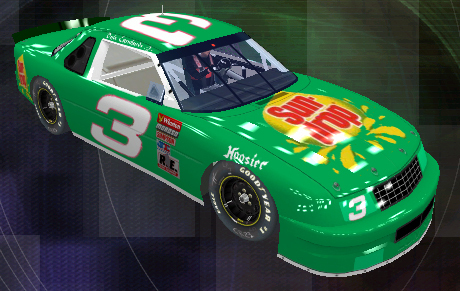 Here is my version of Dale Jr's 1994 Sundrop Late Model Stock Car. The base is by me, logos by Google. Contingency decals and driver uniform accurate per Google as well. I tried putting Hoosier tires on the car, but they showed up as Goodyear. Everyone enjoy!